In 2013, the minimum wage policy was executed in Malaysia. Despite the minimum wage at RM900 per month, the citizens still suffer low purchasing power. The introduction of GST in Malaysia effective April 1, 2015, despite being beneficial to the country, has taken its toll on the public. In addition to the existing escalating price problem, the significant sudden drop in ringgit value has pushed the public to voice their concern over another financial crisis similar to or worse than the Asian financial crisis. The ability of people to hold money and to survive in this economy is worrisome. 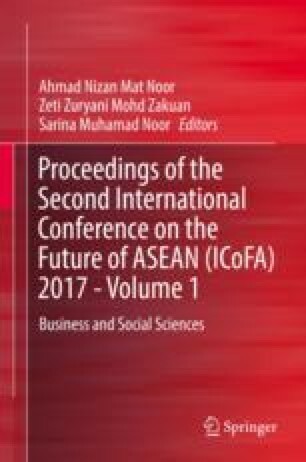 Therefore, this study is conducted to (i) determine the long-run effect of real income, fixed deposit rate, savings deposit rate, and exchange rate on demand for money in Malaysia and (ii) examine the direction of relationship between real money demand and its independent variables from 2003 to 2015 (quarterly). Using a multivariate framework, this study employs money demand function. The estimated results postulate that there is a long-run relationship between real money balance and all independent variables. A bidirectional relationship between real money balance and GDP is also detected.